Discussion in 'The Mainboard' started by Artoo, Apr 20, 2015. I will grab one Monday. I'd prefer minis I think. You still have any of those ETLs sitting around or access to more? Thanks. Where are you located? I’m shocked the Barrel Proof would be sitting on the shelf at that price. I still have my ETLs. Considering trading one for a W12 1.75 or something of that ilk. Not sure about access to more, probably not, but will see in a couple of weeks when they do the 3rd Wednesday of the month online release. Edit: minis sold out in PA but I’ll keep an eye on the inventory. I'm in Iowa, small batch and single barrel both sit at the two decent non-chain liquor stores around here for some reason. Gotcha. I can get both of those in PA fairly easily right now. The blantons is $60ish. I am not sure the price on the minis. Will let you know. I'd be interested in some minis for my wedding if you can get a half dozen or so. Let me know if you have trouble accessing EH Taylor small batch/ barrel proof, High West stuff (other than mwnd), or 1792 sweet wheat/full proof and are interested in some. That's about the only stuff I regularly see locally that seems to be hard to find some places unfortunately. What is your timeline? I will check on some tomorrow. Mid May or so, so no real rush. Appreciate it! 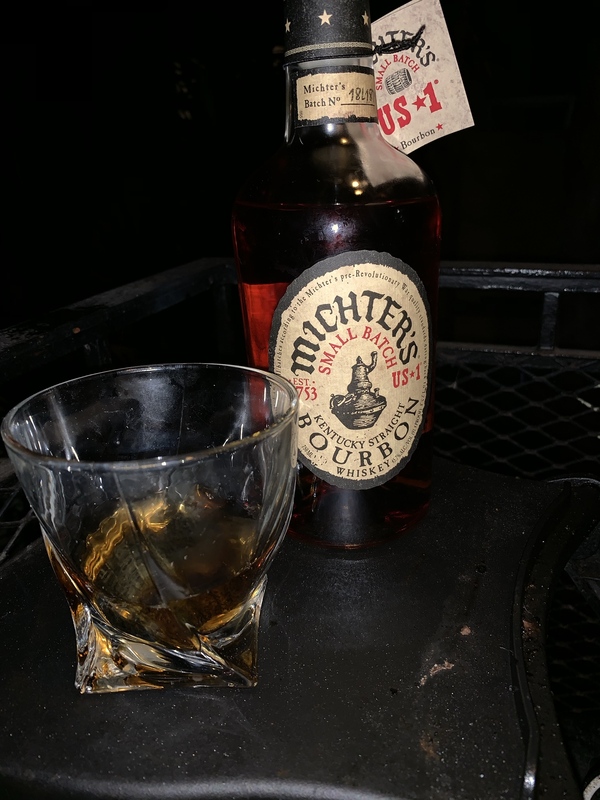 Ended up picking up a Michters small batch for $40 thanks to BevMo price match. Hope it makes a decent sipper while I wait for my Blantons to come in stock. UncleJesse, clemsontyger04, dahldennsull and 5 others like this. I’ll drink Michter’s Small Batch any time. It’s solid and generally available at all times. tjsblue and Daniel Ocean like this. Yeah this was solid. I really liked it and had fight everything to stop at my 2nd two fingers. BevMo employee told me he thought Blantons was 75. I’d rather have this at almost half the price. I love Michter's. I've been trying to acquire what I can, when I can as it goes and comes here locally. The best basic bottle I think is their American Whisky. Sour Mash is solid. The small batch Bourbon is great daily drinker. I use the Straight Rye mostly in Old Fashioneds and Manhattans. I have a bottle of the M10 and M10 Rye that I've yet to open but I know the M10 is incredible. Looking to get the Toasted Bourbon and a lot of folks say the Toasted Rye is the best of them all. Those are hard to find outside of secondary pricing. UncleJesse, dahldennsull, clemsontyger04 and 6 others like this. Mitchers 10 year was my first bourbon before that I was mostly an Irish whiskey guy. Picked up a bottle on a whim. It was 90 at the time and my wife thought I was crazy to spend that much on something I’d never tasted and didn’t know if i would like. Looking back I wish l’d bought more. But, at least I can say I’ve drank $300 (current price) bourbon. HotButteredGrits, dahldennsull, clemsontyger04 and 3 others like this. Interesting, what’s the Port Nelson? Came in 65 a bottle limit was 2 at BevMo. Saw the Mchters Small batch for 59 a bottle. I paid 40 because of the price match they do. UncleJesse, HotButteredGrits, dahldennsull and 7 others like this. One Two and Daniel Ocean like this. Thanks. Wish I could have bought more but I am happy. I like the Mitchers I bought too so I am stocked for a bit. One Two, tjsblue and pperc15 like this. Picked this up today. $83 after tax. UncleJesse, dahldennsull, Baseballman86 and 7 others like this. Booker’s is hard to get now too? clemsontyger04, One Two, pperc15 and 2 others like this. ABC Store Pick OWA hit the AL package stores this week. snagged two yesterday. Bishop, One Two, Oranjello and 1 other person like this. pperc15, tjsblue, WillieHuff and 1 other person like this. Makes me nervous for secondary value of B30. Was hoping to trade one of mine for something like a GTS. Not a big and maybe it’s been discussed before but I was wondering if anyone knows why Makers Mark is spelled without the “e” in whiskey? Ireland uses an e, Scotland doesn't. Makers, Old Forester, and Dickel use the Scottish spelling for some reason. Yeah I know about the spelling difference I was just wondering why in this case they use the scotts way in if anyone knew why. Like I said no biggie just noticed it today at a store just struck me as odd. I love Michter’s. Toasted rye is my favorite. I don't know much about bourbon, as I'm still fairly new to drinking it. But I did pick up a bottle of Clyde Mays Straight Bourbon and it's pretty damned tasty, IMO. Think about it: 20 year old product from a great distillery. ONLY 250 BOTTLES!! !’ Supply and demand model at work. There will be 250 suckers/investors who will pay that. Many of them will turn to the secondary market in 2 years and put a $5,000 price tag on them. These must have been released because one just got put up for auction on facebook. $5,000 bid in the first minute. xec and kentucky_dawg like this. Saw that, didn’t realize it was only 90 proof. 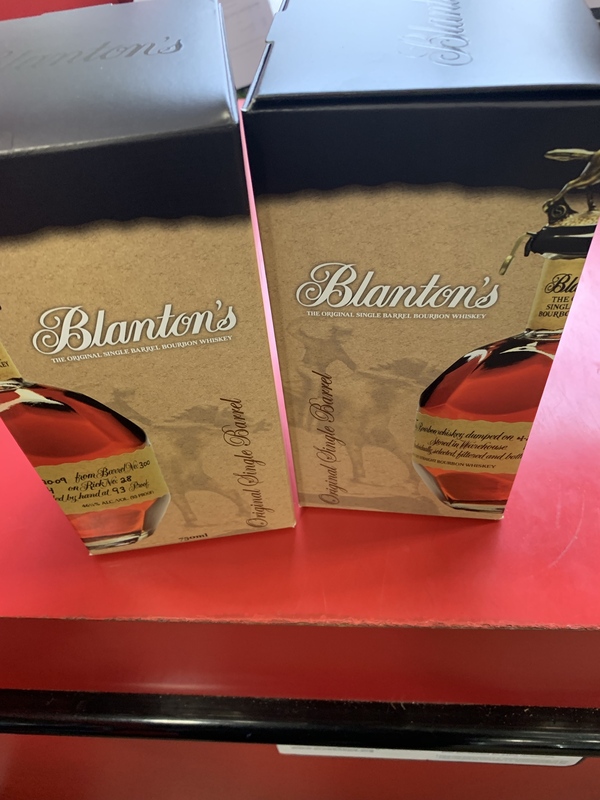 Still some Blanton's for sale in Pittsburgh stores. Called to see if they could transfer one to the Harrisburg area but they won't. Which stores in Pittsburgh. Asking for a friend. Finally got my hands on this guy. Did a full review of it, but overall my take is good, not great. It’s a great value in today’s market, but just “good” whiskey. As a $40 drinker, I enjoy it, but it isn’t knocking anything off my top shelf or replacing ECBP as my favorite Barrel Proof that I can actually find. UncleJesse, clemsontyger04, xec and 3 others like this. View attachment 66338 Finally got my hands on this guy. Did a full review of it, but overall my take is good, not great. It’s a great value in today’s market, but just “good” whiskey. As a $40 drinker, I enjoy it, but it isn’t knocking anything off my top shelf or replacing ECBP as my favorite Barrel Proof that I can actually find. Do you have a site where you do reviews? Yea a small one. Instagram account is kind of the focus, but links to a website that’s a little better for full reviews. One Two, clemsontyger04, Bishop and 1 other person like this. How far are you from Turtle Creek, PA? Is the OESQ worth it for $72? But I never pass up a chance to buy a cask strength Private Barrel. Proof? I found about 8 of them at Total Wine. I never go there just happened to be at a store next to one and walked in to see what they had. I bought it so I hope it’s good. Anison, The_Baumer and One Two like this. Anyone have the OF Rye yet? Is there a difference between American Whiskey and Bourbon? -Aged at least 4 years or age statement needs to be marked on the bottle. Typically American Whiskey comes close, but isn't quite bourbon. For example, Michter's American Whiskey meets all of those except it's aged in used oak barrels. For all intents and pourposes it's bourbon, but they're not allowed to call it bourbon. Did you buy it? I'm a big, big fan. Got 4 bottles of Dovetail, that is good! May grab some more. They are autographed by the distiller or is that every bottle?